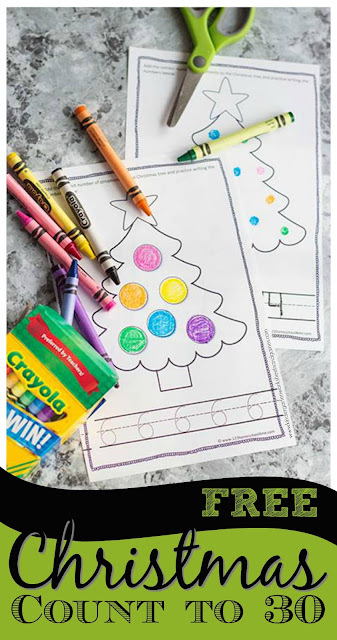 This free Christmas Counting Book is a great way for preschool, kindergarten, and first grade kids to practice counting from 1-30. We love to do more playful learning activities during Christmas time! This free printable Christmas math activity is exactly that. It is simple to prepare, kids love decorating the pretty Christmas trees, and it is wonderful practice writing numbers. NO PREP! 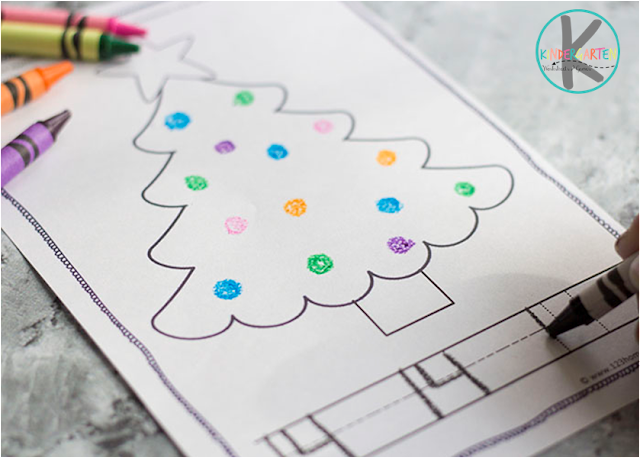 Just print these black and white number worksheets, cut in half, and put them together in order to make a cute Christmas counting book. On each pages students will practice writing numbers 1-30 on the lines. Then students will practice counting by making the correct number of colored ornaments on the tree. 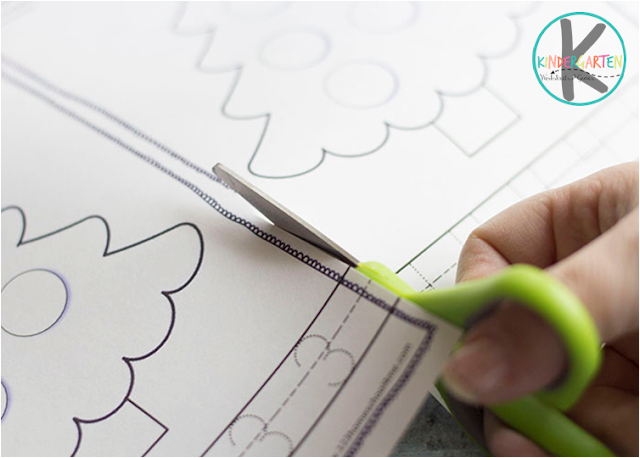 These work great with do-a-do markers, ornament stickers, or your child’s own design. Is there a number 13? Oh no… poor 13 😉 It is all fixed! Thanks for the heads up!